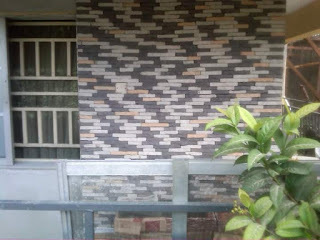 Ledge stone is a popular veneer stone type in Nigeria building industry, it is available as tiny bits of individual stone sticks of average lengths of 4-5 cm each. 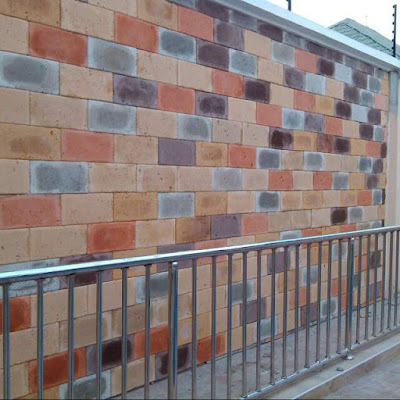 Ledge stones come in individual six color varieties of red, beige,black grey, brown and orange and are installed on the wall by practically using mortar to stick each individual stone on the wall. 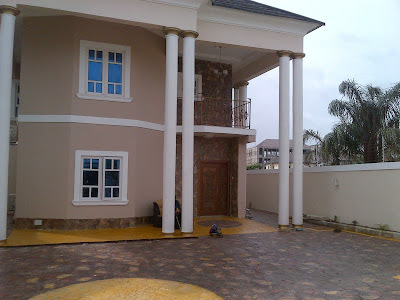 The ledge stone was originally inspired by a competitive move in the Nigerian stone cladding industry to match the growing dominance of granite and marble stone off cuts in the industry then as a premium stone type. 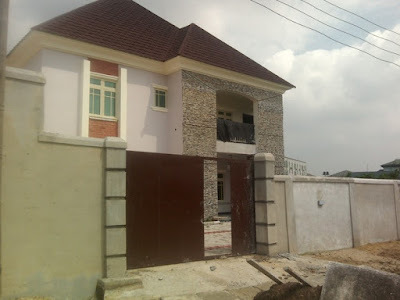 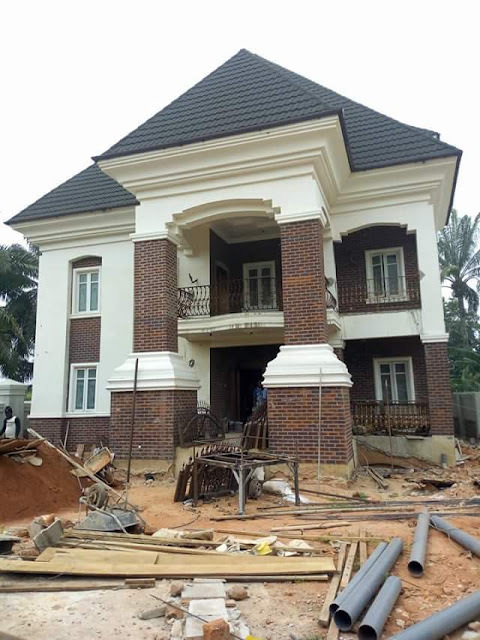 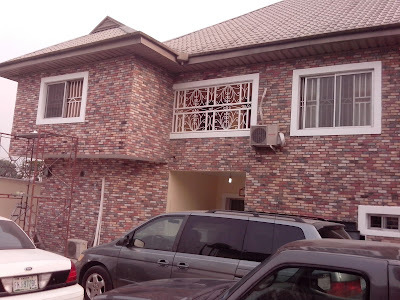 Then gradually, the ledge stone gained a maximum appeal to Nigerian home builders due to its light weight, ease of installation,color option control and slightly lower price offering. 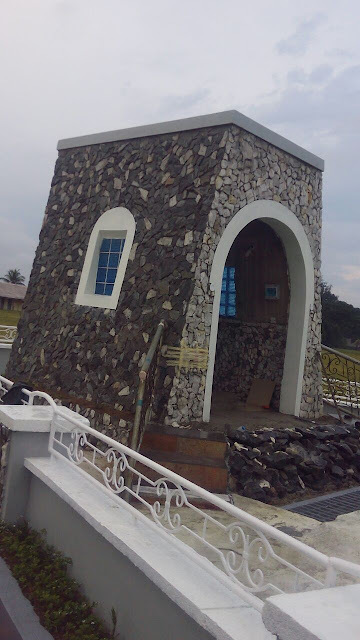 The installation time of the ledge stone is about 1/10 that of granite off cuts. 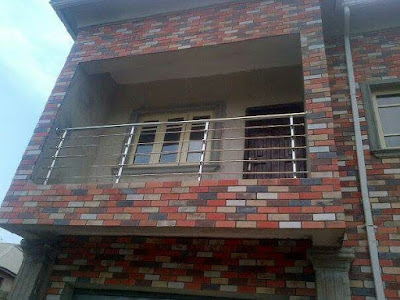 Therefore home builders and property developers who need stone veneer during implementations would most likely go for the ledge stones because it doesn't take forever to install like the granite off cuts. Most of the time, stone men and builders prefer the white and black color combination of the ledge stone, it is usually used in that ratio up to 65% of the time. 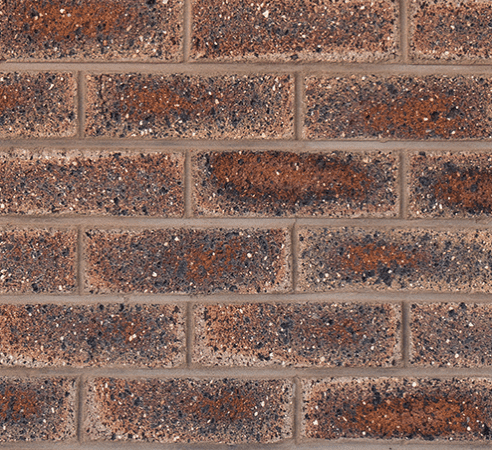 The job above is a good depiction of how the ledge stone looks like when used in the white and black equal color ratio. 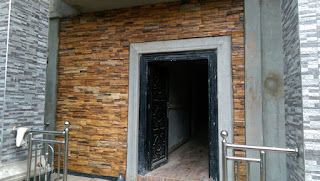 The job has this allure of the traditional marble and granite off cuts but still maintains this characteristic seductive chalky feel of the ledge stone. 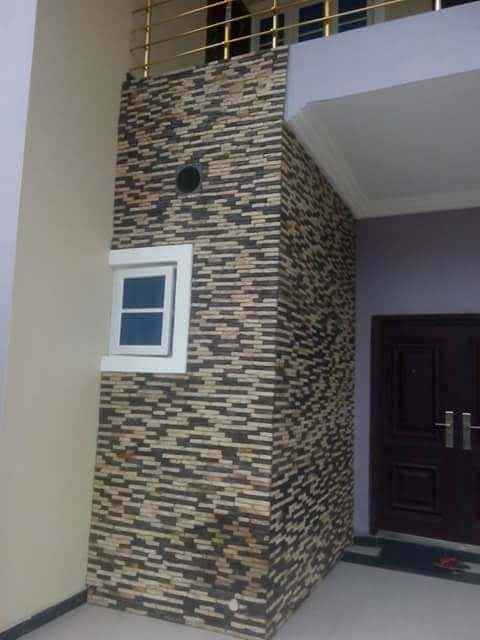 Get in contact with us for your quotes and site inspection for ledge stone cladding of your house, we are always available to give you the best of both interior and exterior stone veneer for your house beautification. 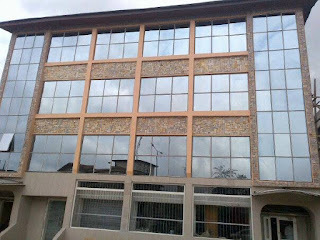 Farad contractors Nigeria, we decorate buildings with stones and bricks.